Endless possibilities! 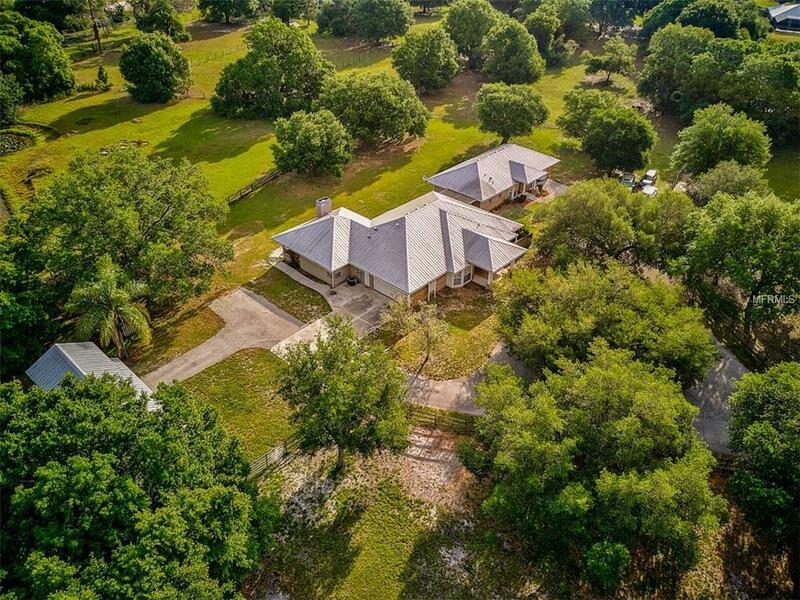 This one of a kind 5 acre equestrian estate in the heart of Sarasota has never been on the market. Comprised of the main residence (2452 sqft) guest house (1108 sqft) and 2-stall horse barn with oversized garage & upstairs 1-BR apartment the property offers amazing opportunities. The feeling you get when you enter through the gates is about so much more than the bricks & mortar. Experience the peaceful and picturesque setting horse pastures stately oak trees and tranquil pond and you will be transported into a country lifestyle that seems far removed from the city's hustle and bustle yet all urban conveniences are just a stone's throw away. The entire "Ranchette" is fully fenced with three large pastures and a barn with two 12x12 stalls. The main home features 3 BR and 2.5 BA and its setting maximizes natural light. The kitchen was updated with new cabinetry & Uba Tuba granite in 2001. Your breakfast area features French Doors and the adjacent family room has a wood-burning fireplace. The guest house (currently leased mth-to-mth) offers 2 BR & 2 BA and both properties are connected by a covered lanai/breezeway. Your roof is a premium 75-year galvalume roof. A/C for the main home & barn replaced in 2017. The magnificent grounds evoke Old Florida charm and at night you can still observe the brightest stars in the sky. This setting couldn't be more ideal for horse lovers while being only minutes away from downtown and in close proximity to area attractions and beaches.